I've always wanted a spot to show off our patriotism, and today that goal was achieved. 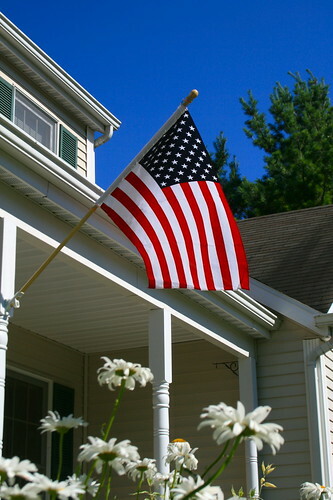 With our beautiful new porch, I finally have a spot to mount a flag. Such a nice shot, with the flowers, too. Thanks. And thanks Babe for putting it up. Good job. this looks awesome! and I agree, great photo!